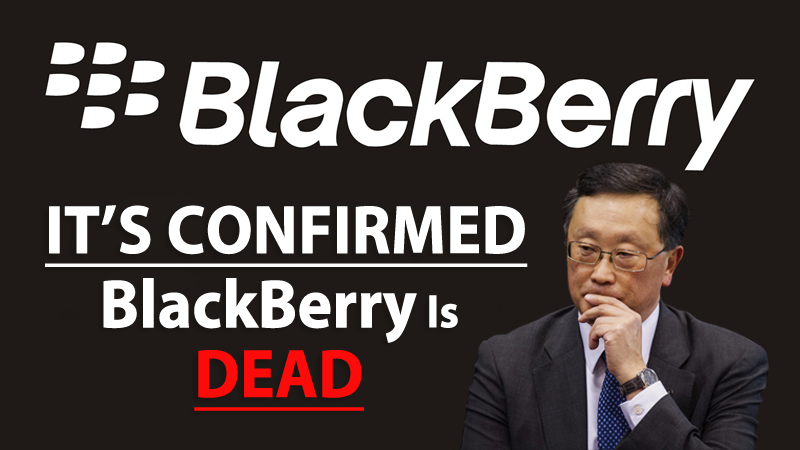 It's official, BlackBerry Is Dead-RIP! Recently, Blackberry announced that it will stop making its own smartphones after falling behind the rivals firms like Apple, Samsung and other Chinese brands. A few years ago, the BlackBerry lost its glow. Once, it was one of the benchmarks in the smartphone market, lost customers and many of its services. But BlackBerry needs to reinvent itself to survive and so has now decided to take the right step by selling the use of its brand to the Chinese company known as TCL. This new BlackBerry reality is not exactly a novelty. Their relationship with the TCL is not new and was already the brand that designed and produced the last two smartphones that BlackBerry launched on the market, the DTEK50 and DTEK60. But the next step has now been taken and the agreement between the BlackBerry and the TCL has been achieved, which will allow the Chinese company to design, produce, market and support to users, always using the image of the Canadian company. BlackBerry is, however, present in the market, taking on the responsibility of creating the software and services that the brand still offers. Although it is a global agreement and applies to the entire planet, there are some one-off exceptions. This agreement has no validity in India and Indonesia, where agreements already exist with another manufacturer, and in Nepal, Bangladesh and Sri Lanka. Although it promises a lot, TCL has already in its portfolio other brands, which it did not explore. His most recent purchase was Palm, with which it chose not to create any equipment. At the opposite end, we have Alcatel, where TCL has launched many new features. This is the logical way for BlackBerry to stay on the market and to roll out new devices. TCL will handle all logistics and introduce new smartphones, based on Android and the brand’s original security software.